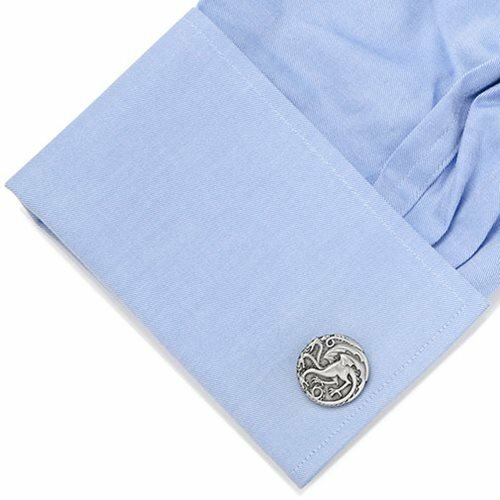 Profess your love for the Mother of Dragons with these Game of Thrones Targaryen Three Headed Dragon Sigil Cufflinks. 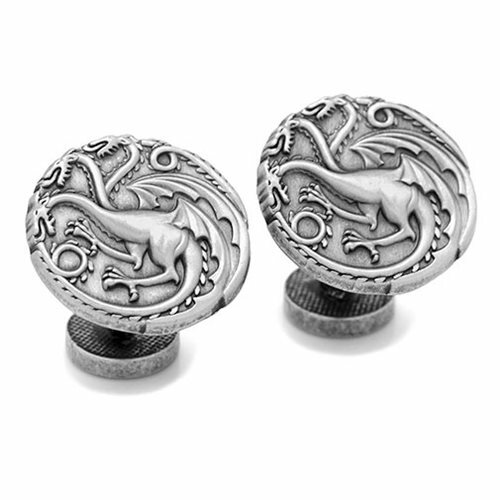 These antique finish die-cut cufflinks features a fixed backing in a silver colored plating. 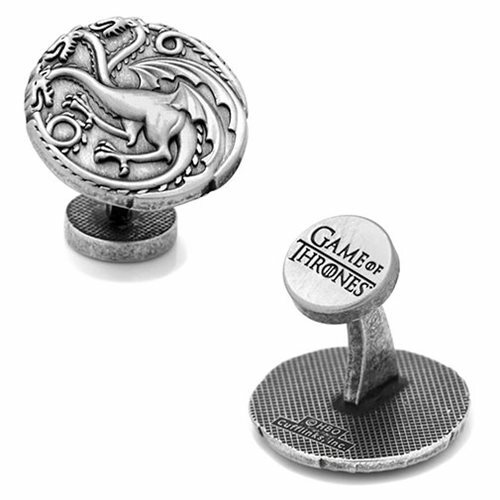 Get yours today to show that you can't be banished forever. Measures about 3/4-inch wide x 3/4-inch long.